A Power Packed Mercury Retrograde Starts August 12th… are you ready for this? 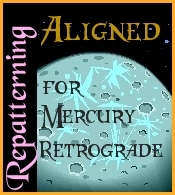 This may be the most power packed Mercury retrograde we have had for a long time! At least for the western world. . . It’s all about the ‘Great American Eclipse’ on August 21st. Mercury, like the trickster it is will trip the eclipse switch especially when it goes direct on September 5th. And Mars, the god of war, gets right in there as well. We always need to remember that Mars is also the god of vitality and all sorts of breakthroughs that give rise to new life. You will be able to read more about the eclipse from me at my website but you can also simply search it out on the web. Every astrologer has a perspective on it! For now we’ll just say that a solar eclipse is when the life giving qualities of the sun are obscured by our all-too-human qualities of reactivity (the Moon). The entire world has been watching these energies playing themselves out on the big stage of the USA politics of the moment, not to mention North Korea. Mercury comes along and pops up where you least expect, reminding us that it’s impossible to try and outwit circumstance. It only leads to lying, cheating and stealing, which most of us do not have appetite for. Awareness and a willingness to deal with the present acts like magic in the hands of the Trickster. I believe many of us common folk will have the opportunity during this retrograde period and beyond to choose between sleight of hand and willingness to stay awake even or especially when we are not sure where we are going. Out of this can come great art, new business ideas, and best of all, love. Most likely we will see the fruits of our efforts after Mercury goes direct. Surprise yourself. Sometimes things that seem doomed can take us to new and amazing realities. Especially when Mercury is retrograde. August 26: Sun conjunct Mercury: Be reflective. August 31st: Mercury retrogrades back into Leo and activates the eclipse degree: Practice awareness and presence. August 3: Mercury conjunct Mars: Respond not react. PS – join our healing session so to help resonate with the best of Mercury retrograde. Mini long distance session on August 12th by Carolyn Winter. A full repatterning with me as proxy and Carolyn doing the session in a live broadcast on August 16th at 6:00pm. Join us! 3 Responses to A Power Packed Mercury Retrograde Starts August 12th… are you ready for this? Your email references “August 3” but that was yesterday. Did you mean September 3? Hi, A very good Mercury Retrograde question! It’s not like we can stop interacting with the world, or that we should so i don’t think you need to worry that you are caught in a bit of a chess game with the political party. My advice is that you don’t underestimate them. That you make sure while Mercury is retro that you check and double check your approach and anything you send out. In truth you did not start this with Mercury retrograde, they did. and 3 days before a retrograde is not an auspicious time. My guess is that their policy isn’t good, has a lot of flaws and that your reaction to it will bring those things to light. The worst thing would be to ignore that they started a sort of weak ball rolling. By responding thoughtfully and with attention to detail you will probably make it clear that things need to be reconsidered!